Photokina 2016: Who's Been the Star of the Show? 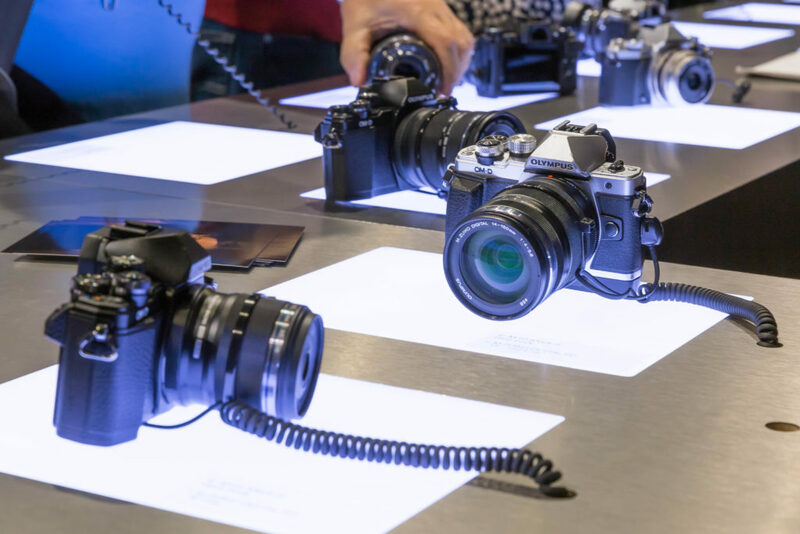 Photokina 2016: Who’s Been the Star of the Show? Steve Huff recently stated that Olympus stole the show at Photokina 2016. And for the most part I agree. To be honest, in terms of lenses, the releases at this year’s Photokina have been somewhat of a letdown. Some years, we’re just flooded with new photography products that really push the envelope. The event this year just hasn’t had that… special sauce that it has some years. But that’s not to say that it was all flops. The M.Zuiko Digital ED 25mm f1.2 PRO Lens and the M.Zuiko Digital ED 12-100mm f4.0 PRO. Let’s take a closer look at each of them and find out whether they appear to be Camera Lens Land-approved. Straight out of the gate, this lens looks like a winner. At 25mm, this lens is a 50mm focal length in 35mm, in full frame sensor terms. I’ve talked about quite a bit about the usefulness of the 50mm focal length. It’s good for portraits, it’s good for a TON of shooting situations. Couple this focal length with the lens’s really wide aperture of f/1.2 and you’ve got a really good combination for shallow depth of field portraits and bokeh. …And with the sample images posted up until this point, the Olympus M.Zuiko Digital ED 25mm f1.2 PRO appears as though it’s capable of producing stunning results. This design is as complex as it gets for a prime lens. 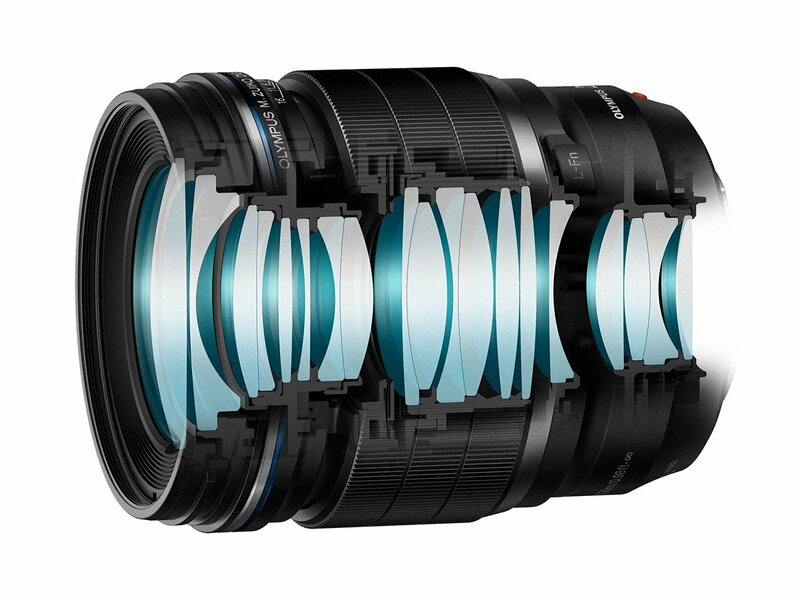 It has 19 elements in 14 groups – that is a LOT of glass stuffed inside this little lens. Olympus claims this results in higher resolution/detail and eliminates aberrations and color fringing. From the unedited sample images from the lens it looks as if the lack of color fringing even in tough situations that are known to result in chromatic aberration is kept to nil. Even pictures that include street lamps at night appear to be completely free of the annoying smearing of green and purple colors. That’s a pretty amazing feature considering the majority of lenses produce some level of chromatic aberration. As photographers, we’ve kind of come to just accept the fact that we have just have to put up with color fringing. Well, Olympus could really be setting a bold new standard in that regard. To top it all off, the lens is weather-sealed and has Olympus’s Z Coating Nano. With a lot of photographers jumping from the micro four thirds ship to larger sensor cameras, the Olympus 25mm f1.2 PRO Lens is certainly going to convince a lot of them to stick around due to its ability to make the most out of the smaller sensors. And I’m sure it’ll even bring some new photographers into micro four thirds fold. Neil Buchan Grant, an Olympus rep, was able to take some shots with both this lens and the 12-100mm f4 in Cuba before they were even made available to the public. To take a look at some of those sample images, click HERE. What better way of taking these lenses for a spin than in one of the most visually compelling places on the planet? One good thing about the smaller sensor sizes of the micro four thirds systems is the ability to keep lens size down to a minimum. The larger the sensor, the larger equivalent focal length lenses have to be. So the smaller sensor sizes allow Olympus to produce a lens of this type with a very wide focal zoom range and a relatively wide constant aperture and keep the lens to a reasonable size. Ever seen a 24-200mm with a constant f/2.8 aperture for full frame sensor cameras? While it would be possible, the lens would have to be enormous to cover a zoom range that wide. 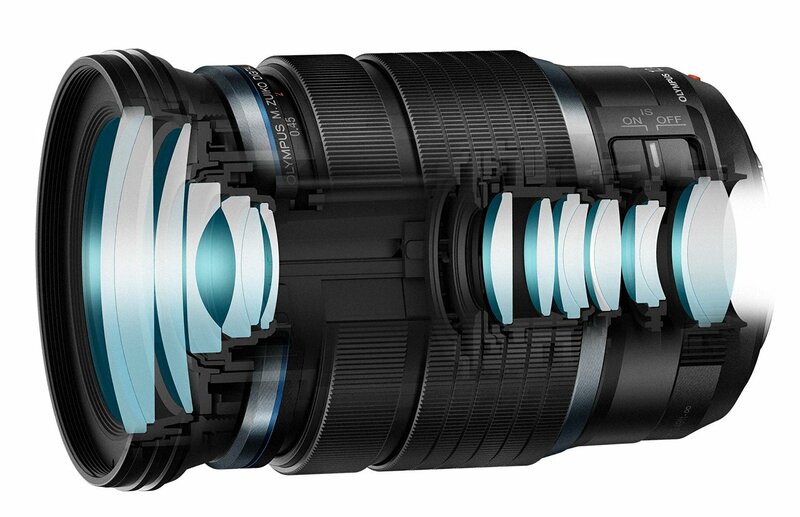 70-200mm zoom lenses for full frame cameras are already big, heavy and cumbersome. The lens has 17 elements in 11 groups. In cameras that support it, it has in-lens Image Stabilization, great for getting sharp shots when shooting at the long end – for both photographers and videographers. 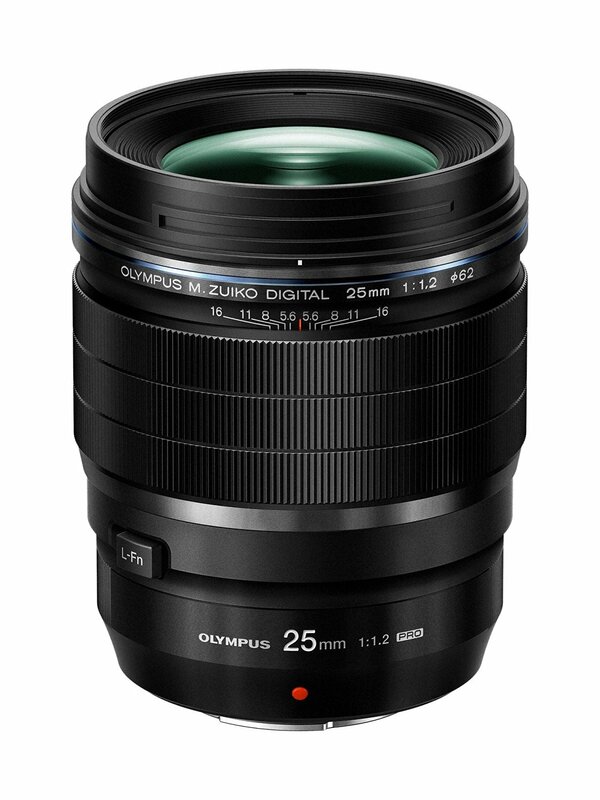 And just like the 25mm f1.2 PRO, it comes with Olympus’s Z Coating Nano and has a weatherproof construction. 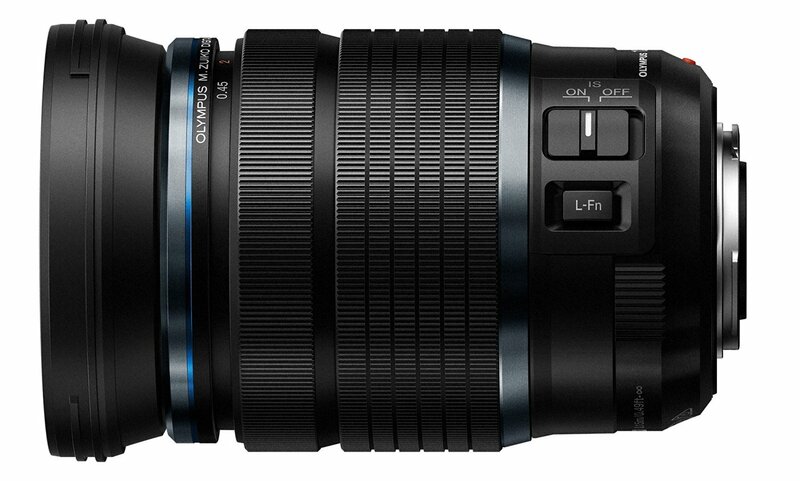 While at 3.1 x 3.1 x 4.6 inches in size and 1.2 pounds in weight, the Olympus 12-100mm f4.0 is by no means a petite lens. But compare the lens to say, the Nikon 70-200 f2.8. 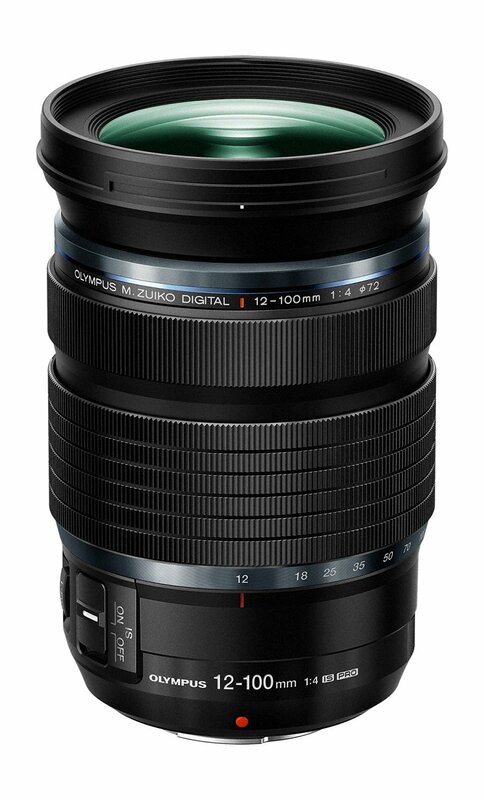 The Olympus 12-100mm f4.0 has a very similar width and circumference, but is under HALF the length. Not to mention it’s about a third of the weight. What do you think? Is this a homerun by Olympus or should they abandon the micro four thirds sensor technology for greener pastures?